You can't go wrong when you decide to hire J&J Fence to construct or repair your fence. 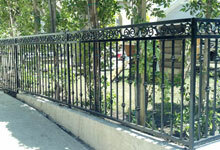 We have been offering superior fence services at exceptional prices to customers throughout Compton for over 30 years. No matter the landscape or perimeter that you need defined in Compton, we will build a fence and gate to define it. Our primary business revolves around our ability to produce impeccable ironwork. We are experienced blacksmiths who handcraft and weld wrought iron into stately staircase handrails, balcony railings and window bars. 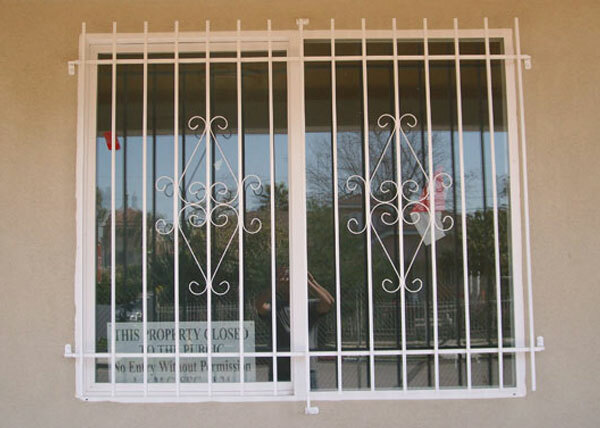 We are also extremely talented with security and decorative ironwork, allowing us to meet the needs of anyone in Compton who wants to add a touch of Old World beauty to their modern home or business. Residents of Compton choose chain link when they seek an attractive fence that is sure to withstand all types of weather, last for years and provide a high degree of security. From kennels to homes to high security properties, a chain link fence is a practical, low maintenance and affordable option. 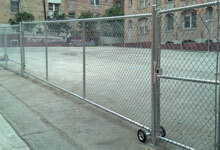 We also can modify chain link with barbed wire or razor wire strands. At J&J Fence, we aim to be your one-stop shop for all your fencing needs. Over the years, this has meant that after we have built a beautiful fence and gate, we are invited back to construct matching window bars and handrails. Not only do we offer high quality work at great prices, but we also provide great service. Every project is closely supervised by ownership and worked on by our highly experienced team -- never sub-contractors. Call today to learn more and to schedule an on-site visit. Our consultations and estimates are free! This is a white window bar installation in Compton, CA. 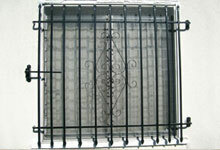 The window bar is made out of solid steel square pickets and covers a 5' wide by 4' tall window.